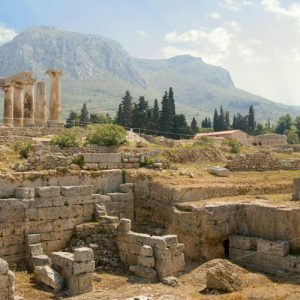 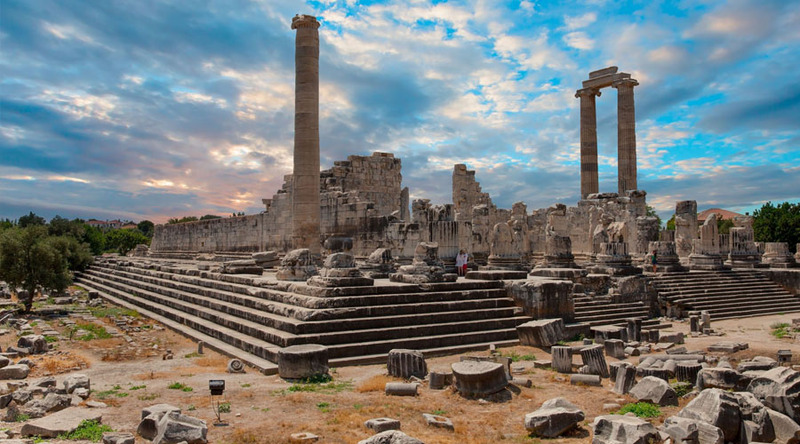 Corinth was a city-state on the Isthmus of Corinth, the narrow stretch of land that joins the Peloponnese to the mainland of Greece, roughly halfway between Athens and Sparta. 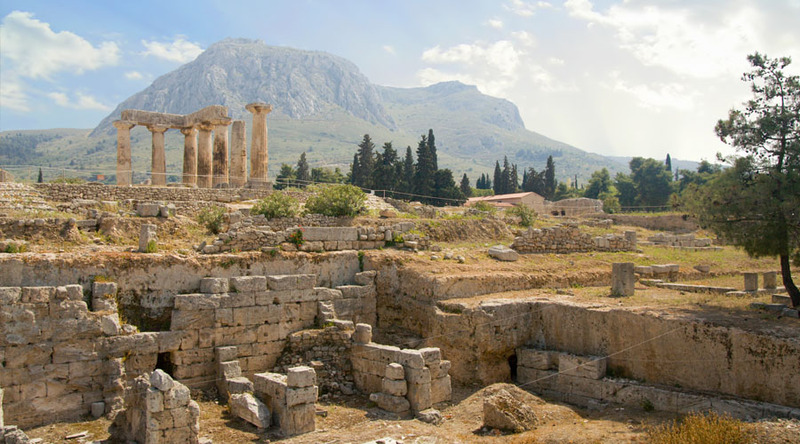 The modern city of Corinth is located approximately 5 kilometres (3.1 mi) northeast of the ancient ruins. 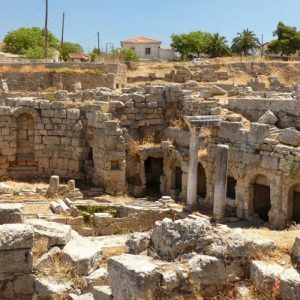 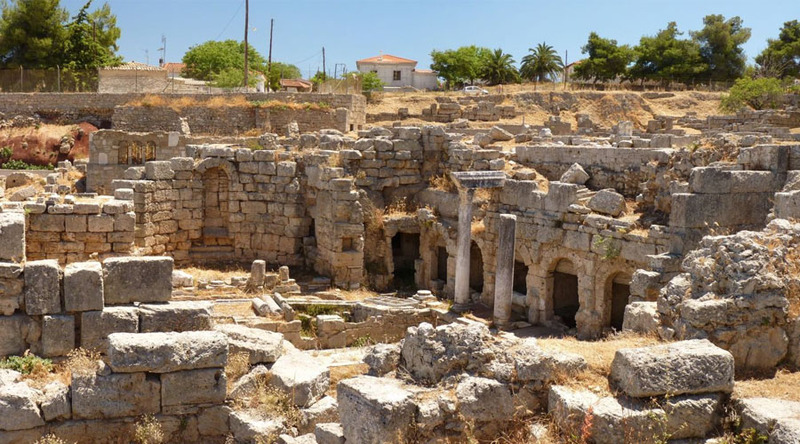 Since 1896, systematic archaeological investigations of the Corinth Excavations by the American School of Classical Studies at Athens have revealed large parts of the ancient city, and recent excavations conducted by the Greek Ministry of Culture have brought to light important new facets of antiquity. 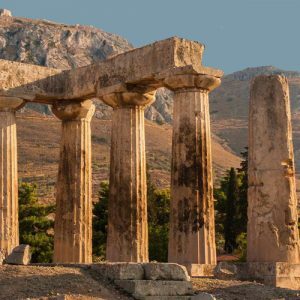 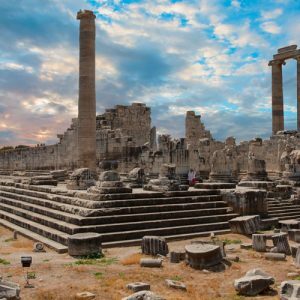 For Christians, Corinth is well-known from the two letters of Saint Paul in the New Testament, First Corinthians and Second Corinthians. 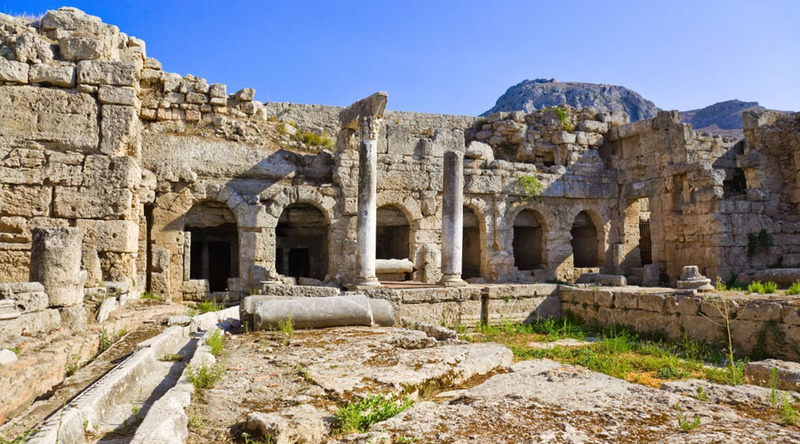 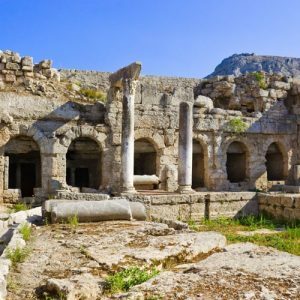 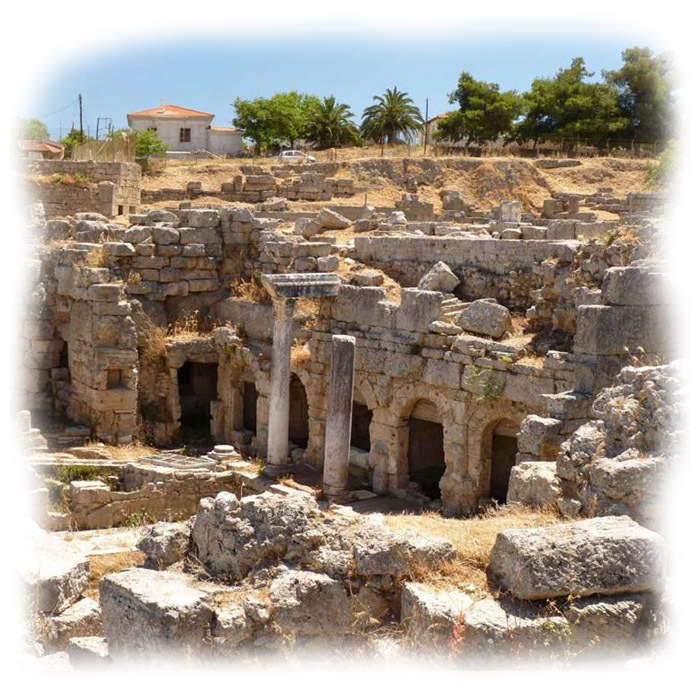 Corinth is also mentioned in the Book of Acts as part of the Apostle Paul's missionary travels. 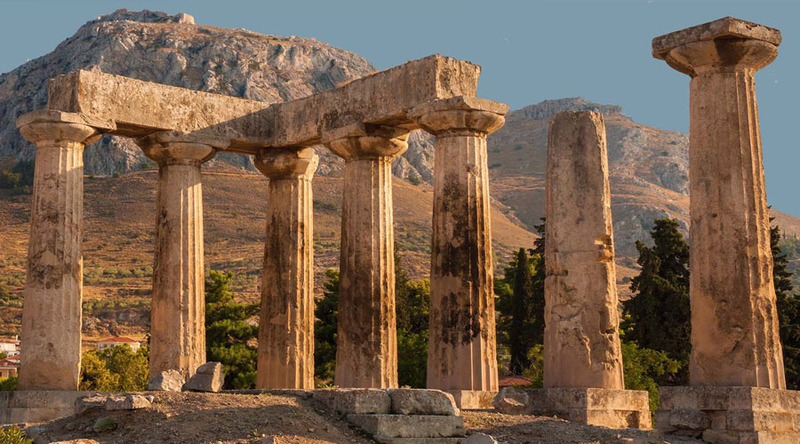 In addition, the second book of Pausanias' Description of Greece is devoted to Corinth.